To start, navigate to the Binance DEX (testnet) and click on “Unlock Wallet” in the upper right-hand corner of your screen. From here you are able to select the method on how you would like to unlock your wallet. The easiest way to access your Binance DEX wallet. WalletConnect easily integrates with Trust Wallet (Binance's official recommended wallet) and CoolWallet S.
To get started, open the Binance DEX and click on WalletConnect. From here, click on the "Get WalletConnect QR Code" button. Open Trust Wallet (or download it if you do not have it yet) and click on the button in the upper left-hand corner of the wallet and then click "WalletConnect". This will open your camera for you to scan the QR Code generated by Binance DEX. Once you scan the QR code, approve access and you will be connected to the Binance DEX with your Trust wallet using WalletConnect. In order to use your Ledger hardware wallet with the Binance Chain, first you must install the Binance Chain application onto your Ledger from the Ledger Live manager. Once the Binance Chain application is installed on your Ledger, unlock your Ledger by entering your pin code. While the application is open, you can unlock your wallet and trade on the DEX by navigating to the Binance DEX (testnet) and clicking on “Unlock Wallet” in the upper right-hand corner of your screen. From here, select “Ledger Device” and click on “Connect to Ledger”. In order to unlock your wallet using a keystore file either upload your keystore file by clicking on the “Upload keystore file” button or drag and drop your keystore file into the button. You will then need to enter the password you first set up with your keystore file to unlock your wallet. This password will also act as a session password to protect your account after a period of inactivity. In order to unlock your wallet with your mnemonic phrase, you will need to write your 24-word phrase into the text box and set a temporary session password. This session password is required after a period of inactivity to protect your account from unauthorized activity. It is not recommended to unlock your wallet with your mnemonic phrase unless you are recovering your wallet after losing your keystore file or password. Once you have unlocked your wallet, you will be on the trading interface of the Binance DEX. 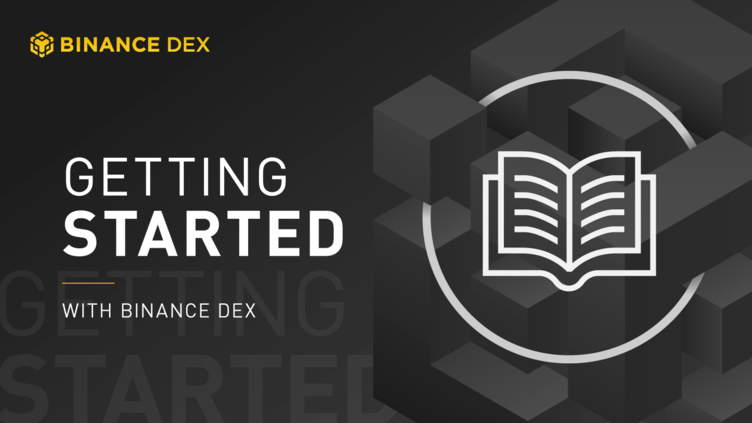 Continue through to our article on navigating the Binance DEX to learn how to use the interface.